A RADIANT Cornwall welcomed the Central Council to Truro this Whitsun. The opening of the second session of the 25th Council (67th annual meeting) had all the tradition and dignity which accompanies visits to different parts of the country. The meeting took place in Truro Town Hall on Whit Tuesday and was attended by the Mayor and Mayoress (Councillor Eric A. Brown and Mrs. Brown), the Lord Bishop of Truro (Dr. J. M. Key) and the president and other officers of the Truro Guild. The Mayor, in his welcome to members to the ancient city of Truro said it was the first time the Central Council had visited Truro, and he hoped it would not be the last. The history of the Council was extremely interesting and its formation followed a dinner given on Easter Tuesday (April 8th) 1890, by Sir Arthur Heywood, and the first meeting was held the following Easter Tuesday and was attended by 76 delegates representing 33 Societies. Sir Arthur was president of the Council until his death in 1916. The nearest meeting the Council had held to Truro was at Plymouth in 1932, when several members visited Truro and a peal was conducted on the Cathedral bells by Mr. J. S. Goldsmith, the Editor of "The Ringing World." The Truro Diocesan Guild was founded in 1897, but was not represented on the Council until 1908, when Mr. W. H. Southeard was elected the first representative. The Central Council had had six presidents and six secretaries. Giving an indication of ringing, the Mayor said there were 5,345 rings of bells in the British Isles, and only 60 in the rest of the world. Recently a team of English bellringers had visited America to ring for the dedication of the tower and bells of Washington Cathedral. The Lord Bishop, who in his own words "seconded the Mayor's welcome" said it was four years since he came to the diocese and he was getting more and more fond of his adopted county. He welcomed them on behalf of the diocese, and also on account of the position he held in the Guild, but he had to admit he was very much a learner in the art and skill of a bell ringer. One of the duties of a Bishop was to visit his diocese and that could be done in a technical way in making comprehensive inquiries of what was going on in the parishes. He made an inquiry about bellringers in the diocese two years ago. They had about 200 parishes in the diocese and 160 had rings of bells. Of those bells only 14 were not rung on a Sunday, seven because the bells were not fit to ring and five because there were no ringers. He then inquired if the ringers attended church after ringing and was told that only in one church did they not attend. Another incumbent replied that they attended, except the Methodists who rang and then went to chapel. This showed that the ringers did their part not only in ringing but in worship and this, he believed, was true throughout the country. The Bishop said he also discovered that there were at least 250 learning to ring, which, he thought was very encouraging. Concluding, his lordship said he had only mastered one bell - the tenor - in the village where he was brought up. He, however, knew something of the art and delight of the bells; they were then somewhat suspicious of anything "scientific." Another welcome came from Mr. Alan Carveth, Master and president of the Truro Guild, who said the Guild were delighted to make arrangements for their visit and he hoped they would take away with them pleasant memories of their city and county. The president (Canon Gilbert Thurlow), in returning thanks for the welcome, congratulated the Mayor on the way he had done his "prep" and, to the Bishop, said his diocese had given an example to the Exercise in having only 14 towers that were not rung each Sunday and 250 learners. Their children would look forward to ringing for the Coronation of a King of England for, whatever their Welsh representatives might say, before he was Prince of Wales he was Duke of Cornwall. LIFE MEMBERS.- Canon A. G. G. Thurlow, Mr. E. A. Barnett, Mr. F. W. Perrens, Mr. F. Sharpe. HONORARY MEMBERS.- Mrs. E. A. Barnett, Mr. F. I. Hairs, Mr. D. Hughes, Mr. C. K. Lewis, Mr. W. A. Osborn, Mr. H. N. Pitstow, Mr. G. W. Pipe, Mr. H. L. Roper, Mr. E. C. Shepherd, Mr. R. F. B. Speed, Mrs. R. F. B. Speed, Mr. P. L. Taylor, Mr. T. W. White, Mr. J. Willis. Ancient Society of College Youths: Messrs. W. T. Cook, J. F. Smallwood, W. Williams. Australia and New Zealand Association: Mr. P. M. J. Gray. Coventry Diocesan Guild: Mrs. D. E. Beamish. Derby Diocesan Association: Messrs. G. A. Halls and M. Phipps. Devon Association: Messrs. B. Bartlett, T. Darch, H. Pidler. Ely Diocesan Association: Messrs. J. G. Gipson, E. H. Mastin, H. S. Peacock. Gloucester and Bristol Diocesan Association: Messrs. A. L. Barry, W. B. Kynaston, C. A. Wratten. Guildford Diocesan Guild: Messrs. D. A. R. May, S. G. Ponting, W. H. Viggers, J. F. M. Maybrey. Guild of Devonshire Ringers: Miss B. M. Boyle, Mr. N. Mallett, Rev. J. G. M. Scott. Hereford Diocesan Guild: Messrs. G. Cousins and P. Morgan. Kent County Association: Messrs. P. A. Corby, T. Cullingworth and I. H. Oram. Ladies' Guild: Miss J. Beresford and Mrs. P. J. Staniforth. Lancashire Association: Messrs. J. E. Burles, C. Crossthwaite and J. P. Partington. London County Association: Mr. H. W. Rogers, Mrs. H. W. Rogers and Mr. W. G. Wilson. Norwich Diocesan Association: Messrs. H. W. Barrett and N. V. Harding. Oxford Diocesan Guild: Mr. A. D. Barker, Mrs. A. D. Barker and Mr. P. Walker. Peterborough Diocesan Guild: Miss S. R. Collins. St. David's Diocesan Guild: Mr. R. C. Warburton. St. Martin's Guild, Birmingham: Mr. G. E. Fearn. Salisbury Diocesan Guild: Messrs. J. T. Barrett, C. H. Harding and G. S. Morris. 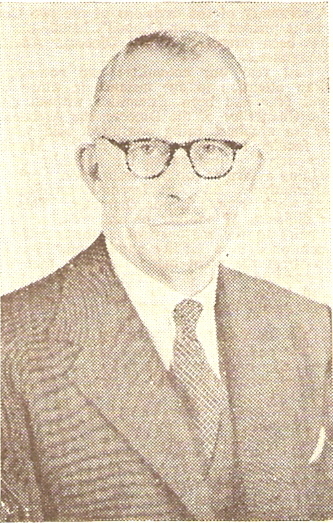 Shropshire Association: Mr. R. B. Morris. Society of Royal Cumberland Youths: Messrs. D. Beresford, W. H. Dobbie and Dr. D. E. Sibson. South Derbyshire and North Leicestershire Association: Mr. J. Collins. Southwell Diocesan Guild: Messrs. J. D. Clarke and W. L. Exton. Suffolk Guild: Miss A. E. J. Lester and Mr. C. W. Pipe. Sussex County Association: Mrs. F. I. Hairs, Messrs. R. W. R. Percy, A. V. Sheppard and W. L. Weller. Swansea and Brecon Diocesan Guild: Mr. G. I. Lewis. Truro Diocesan Guild: Messrs. W. C. Boucher, D. Burnett, A. J. Davidson and A. Locke. Winchester and Portsmouth Diocesan Guild: Mr. A. V. Davis, Canon K. W. H. Felstead and Mr. J. Hartless. Yorkshire Association: Messrs. G. Benfield, V. Bottomley, W. E. Critchley and W. F. Moreton. Apologies were received from Mr. and Mrs. G. W. Fletcher, Messrs. A. A. Hughes, J. T. Dykes, J. P. Fidler, Mrs. C. C. Marshall, Messrs. A. J. Pitman, L. Stilwell, C. G. J. Watts, G. Salmon, J. H. Edwards, J. McKay, J. W. Clarke, T. C. Myers, H. Windsor, T. H. Radford, T. A. Bevis, J. J. Webb, A. T. Wingate, J. R. Cooper, Miss D. E. Colgate, Messrs. R. Leigh, C. W. Ottley, D. H. B. Millward, F. N. Golden, D. J. Smith, E. Billings, F. E. Haynes, W. C. West, R. St. C. Wilson, F. E. Hawthorn, L. G. Brett, Miss M. R. Cross, Messrs. F. W. Rogers, H. O. Baker, E. H. Edge and P. I. Chapman. The President commented that the absence of some of their senior members in Mr. and Mrs. G. W. Fletcher and Mr. A. A. Hughes seemed to mark a turning point in the history of the Council. He was sure they very much regretted their absence. The following new members were presented to the President: Messrs. T. Darch and H. Pidler (Devon Association), J. F. M. Maybrey (Guildford Guild), P. Morgan (Hereford Guild), J. P. Partington (Lancashire Association), W. L. Weller (Sussex Association), A. J. Davidson and A. Locke (Truro Guild). Mr. F. W. Perrens proposed on behalf of the Standing Committee that Mr. A. 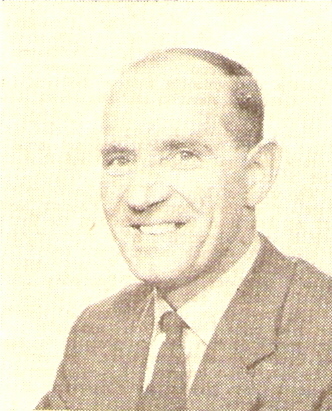 A. Hughes be elected a life member of the Council. He said that few words of his were needed for the condition of such membership stated: "life members shall consist in the opinion of the Council of those by reason of their services in the art of ringing merited the conferring of life membership." When this came into being, it was decided that life membership should only be conferred on those who had rendered special services. Mr. Hughes had been a member of the Council since 1915 and together with Mrs. Fletcher had, he believed, been a member of the Council for nine years longer than any other member. He had given 49 years of faithful service; he had been a very active member and had acted as the auditor for many years. When "The Ringing World" was taken over by the Council after the death of its originator, Mr. Goldsmith, many difficulties had to be overcome and one of the biggest was in the matter of finance. Here Mr. Hughes came to the rescue in guaranteeing in the case of loss. In those days "The Ringing World" was not in the position it was today; it was due to his kindness and generosity that "The Ringing World" was able to continue without any break. Seconding Mr. J. Frank Smallwood said he heard from Mr. Hughes a few weeks ago stating that he was feeling excellent in himself but his mobility was impaired in his legs; nevertheless he was gradually improving and they hoped he would live long to enjoy the privilege of life membership. The Hon. Secretary reported that there were now six vacancies for honorary members. The Standing Committee recommended that the retiring members (Mrs. R. F. B. Speed and G. W. Pipe) be re-elected and that Mr. F. A. White, of Appleton, be elected. They also recommended that Mr. John Betjeman be approached for honorary membership next year and the remaining vacancies be left. The Council stood while the following members were remembered: Mr. E. H. Lewis, Mr. A. C. Hazelden, Canon R. F. Wilkinson, Messrs. W. Rose, H. Stalham, T. H. Taffender and Derek Ogden. The President paid a tribute to Mr. E. H. Lewis, recalling how he was held in great affection of all members. At Brasted he restored the bells and taught many people to ring. He recalled his open days once a year and his work for the Kent County Association. For a time he lived at Frodsham, Cheshire, where he did much for the Chester Diocesan Guild in encouraging method ringing. He also lived at Tring and in Scotland. Mr. Lewis, he said, was Master of the College Youths in its tercentenary year (1937). He represented Cambridge University Guild on the Council from 1906-1936, was an hon. member 1936-1951 and from 1951-1963 a life member. When President he was a wonderful example of what a chairman should be. He was a distinguished member of the Towers and Belfries Committee, a donor of many valuable books to the Council's library and would always be remembered for his work on the mechanics of bells. the new Convener of "The Ringing Would" Committee. "I remember him," concluded the President, "as a most kind and patient leader and nothing seemed to ruffle him. I was so grateful that he was present at Yarmouth." Mr. D. A. R. May in a tribute to Mr. A. C. Hazelden said everyone knew how meticulous he was in his work for the Central Council. He would like to mention his work at St. Nicolas', Guildford. Mr. Hazelden had trained many ringers who had gone to many parts of the world and they were all must grateful to him. They remembered the way he had established the library of the Guildford Guild. The tribute to Mr. Wm. Rose, of the Peterborough Guild, was paid by Mr. Norman Chaddock. He was a good striker and would not tolerate anything slapdash, he said. Mr. A. V. Sheppard spoke of the lovable qualities of Harry Stalham and Mr. Edgar Shepherd recalled his recollections of Canon Wilkinson when he was at Mansfield, 40 years ago. He was a very capable ringer who did a lot for the advancement of ringing in Nottingham. A member of the Central Council for 62 years, the late Mr. T. H. Taffender, received a tribute from Mr. Harold Rogers. Mr. Taffender, he said, was a senior past master of the Ancient Society of College Youths which he joined in 1893, and a member of St. Paul's Cathedral band for over 60 years. He joined the London County Association in 1895 and served for 65 years as an officer and as Master for 50 years. He would be best known for the encouragement and help he gave to young ringers all over the county. Mr. C. Crossthwaite recalled the sudden and untimely death at the age of 30 of Mr. Derek Ogden, who was only elected a member of the Council last year. He was not as well known to Council members but in Lancashire he was extremely well known and admired by everybody. He had a quiet, efficient manner and even people who did not know him personally appreciated his achievements. He was President of the Manchester University Guild and secretary of the Manchester District of the Lancashire Association. The minutes of the last meeting, which were published in "the Ringing World" of March 20th and had been circulated to members, were adopted on the proposition of the secretary, seconded by Mr. F. I. Hairs. Probably the most outstanding event during 1963 was the service of thanksgiving for the life and work of Mr. Edwin H. Lewis at St. Michael's, Cornhill, on November 2nd. The church was almost full and those able to attend were privileged to take part in a most impressive service, conducted by Canon Felstead, and heard an outstanding address by our president. Mr. Frederick Sharpe read the lesson and representative bands rang before, and on handbells during, the service. It should perhaps now be placed on record that at the time of Mr. Lewis's retirement from the presidency in 1957 I approached the then Archbishop of Canterbury, at the suggestion of Mr. R. G. Blackman, of the Sussex Association, to ask if he would consider recommending Mr. Lewis for inclusion in an Honours List. Although His Grace could not see his way to do this a most courteous reply was received from him. Reference is made elsewhere in the reports to the deaths of Mr. A. C. Hazelden. A telegram of congratulation was sent on behalf of the Council to Mr. and Mrs. Hazelden on the occasion of their diamond wedding anniversary in September. The Council's good wishes were also sent to Que Que, Southern Rhodesia, where a ring of four hung for ringing was dedicated on October 18th. A copy of "The Ringing World," in which were reported a number of peals and quarter peals in memory of President Kennedy, was sent to the American Ambassador and an acknowledgment said that it had been forwarded to Washington. Numerous inquiries were received from the public. Among them, "Woman" magazine wished to include a reference to ringing in a leaflet on hobbies; the Dean of Lincoln asked for information on bell-recording on behalf of an American inquirer, who later sent a letter of thanks, adding that he played it for his wife every Sunday! ; several students who had chosen bells for special study sought information; two free-lance journalists asked various questions; and a suggested handbell-ringing syllabus for the Duke of Edinburgh's Award was provided at the request of Benenden School. Once again I record my thanks to Mr. W. G. Wilson and Miss Groves for typing and duplicating these papers and to Association secretaries who send me copies of their reports. I am sorry that lack of time prevents me from acknowledging these individually. E. A. BARNETT, Hon Secretary. This was moved by the secretary and seconded by Mr. W. E. Critchley and carried. The machine was run on five days during the year and seen by 34 visitors. Touches of Stedman Triples, Stedman Cinques, Plain Bob Major, London Surprise Major and Bristol Surprise Major were rung. The new trustee, Mr. F. E. Haynes, was introduced to the machine in March and on September 7th he umpired the first peal on the machine, which was conducted by Mr. John Chilcott and consisted of 5,019 of Stedman Cinques, composed by John Carter (C.C.C. No. 15). The machine continues to run well but it is hoped to replace the two recording pens shortly. (Signed) A. A. HUGHES, DOUGLAS HUGHES, FRANK E. HAYNES. Trustees. Despite the difficulties caused by rising costs, your journal has continued to appear regularly throughout the year. Events of national and international importance have made heavy demands upon available space in the peal columns, which could have been easily dealt with had it been possible to have more 24-page issues, but as strict economy had to be exercised, it was necessary to cut them down to the barest minimum. Examination of the accounts will show that we are not quite paying our way, but contributions from well-wishers towards the costs of production have helped to produce a balance on the right side. Your Committee desires to express sincere thanks to Mr. T. W. White, the Editor, for his loyal and painstaking efforts; to the Woodbridge Press, Ltd.; to all literary and financial contributors, especially the Oxford Diocesan Guild and the Bath and Wells Association, to Mr. H. L. Roper for compiling the index; to Mr. Jeater for supervising the accounts; to all regular readers; and to all who have in any way helped us with our work. May we make a strong appeal to all postal subscribers to renew their subscriptions promptly and so save the work and expense of sending out reminder cards. The accounts of "The Ringing World," which had been edited by Messrs. Caldwall and Braham, were circulated with the report. The Profit and Loss Account on the debit side showed printing and blocks £5,472 17s. (£5,297); editorial office expenses £981 14s. 2d. (£915); postal subscribers (dispatch of copies, addressing and wrappers) £1,717 9s. 3d. (£1,577); Accounts Department £301 3s. 11d. (£303); miscellaneous £29 0s. 6d. (£23); audit and accountancy £36 15s. (£37); interest receivable Schedule "D" £107 17s. 6d. (£105). Total expenditure £8,646 17s. 4d. Profit for the year £368 19s. 1d. (£747). On the credit side income was Rolls House Publishing Company £2,723 16s. 5d. (£2,772); postal subscriptions £4,347 11s. 5d. (£4,204); donations £477 2s. (£449); advertisements £515 3s. 10d. (£536); notices and peal reports £623 4s. 5d. (£639); sundry receipts £42 10s. 6d. (£39); interest received £276 7s. 10d. (£265). Total £9,015 16s. 5d. (£8,904). The balance sheet showed investments at cost £6,500 (£5,800); cash at bankers £3,131 13s. 10d. (£2,666); cash in hand £2 1s. 3d. Mr. J. F. Smallwood (convener), presenting the report, said they would be pleased to know that there was a considerable increase in peal and quarter peal ringing. To them it was a very good sign, but to those responsible for the publication it was a headache: because of the pressure caused on space a lot of other material they would like to appear could not always be published. Mr. Dennis Bayles made some very constructive suggestions as to the style peals should be presented; it had been given consideration and they were hoping to effect some slight modification on the style of these report so as to save space. They must get the peals condensed but at the same time preserve the traditional style. He thanked Mr. Bayles for his suggestions. They would see from the report that they only broke even through donations; had it not been for them they would have been in the red. It was obvious to everybody that they would have to make a little further effort to increase income. Two years ago there was an increase in postal charges which the committee thought at that time they would carry. They were now going to ask postal subscribers to pay 2s. a year more from their next order: half-yearly and quarterly would be increased in proportion. They were also making slight additional charges on small notices, with a minimum of 4s. for 30 words instead of 3s. 6d. Concluding, Mr. Smallwood said: "This will be my last appearance as convener as I feel that increasing years and not very good health prevent me from doing the work as efficiently as it should be done. The committee have agreed to relieve me of my duties and Mr. Anderson will take on from now. I move the adoption of the report." Seconding, Mr. Anderson said he felt very humble in taking office following such an acknowledged person as Mr. Smallwood. "I can assure you that I will do my best but it will not be anything near to that done by Mr. Smallwood." Continuing, Mr. Anderson said he would like to introduce to the Council a person whose name was known to thousands of ringers - he referred to Mr. J. E. Jeater who had looked after the accounts of "The Ringing World" for very many years. He had not done the work for the financial recompense. There was never a mistake and he would like to thank him most sincerely for all he had done for this Council (applause). Mr. Jeater said he was delighted when Mr. Smallwood and Mr. Anderson called upon him and gave him an invitation to be present at that meeting and for the opportunity of meeting so many people he had known only in name. "I like doing the accounts of 'The Ringing World' but I am afraid I shall not be able to do it very much longer as I, like Mr. Smallwood, find years are going on." Mr. Anderson said production costs were up by six per cent. and income by one per cent. There was one other matter on which the committee were taking an opinion. In his last budget proposals the Chancellor said he was going to make provision for taxation of surplus of mutual trading concerns. In future they would be taxed not at 7s. 9d. in the £ but 10s. 9d. That would seriously reduce anything they should be able to put back. The hon. secretary said on behalf of the Standing Committee he put forward the name of Mr. Smallwood for his election as a life member of the Council next year (applause). Mr. V. Bottomley said the additional 3s. in the £ profit tax which Mr. Anderson referred to was only payable on profits of £2,000 a year. Mr. W. E. Critchley said he was a little uneasy about the increase in charges for advertisements. He thought it was almost 37 per cent. He wondered if the committee would reconsider it. The Editor replied that it was necessary to obtain additional income. The proposal was a uniform charge of 4s. for 30 words for all types of notices. At the present time the charge for meetings was 3s. 6d. for 30 words. They would pay 4s. minimum (an increase of 14 per cent.) and there would still be a reduction of half-price for second and following advertisements. For other notices the charge would be 4s. for 30 words instead of 36 at present. Many of these advertisements did not exceed 30 words. The charges for advertisements were low compared with other publications and it was a common experience to receive 5s. or more for a notice. Practically all newspapers had revised their small advertisement charges. Mr. John R. Mayne expressed the hope that members of the Council would do their best to increase the number of postal subscribers. Mr. R. B. Morris (Shropshire Association) said he had worked out that it would cost another 13s. a year for notices from his Association. It was a sum he would gladly meet. The report and accounts were then adopted. The General Fund of the Council showed an excess of income over expenditure of £35 17s. 1d. Income was £140 4s. 2d., made up of £82 10s. affiliation fees and £57 14s. 2d. profit on publications. Expenditure was £106 6s. 1d., the chief item being stationery and printing £38 4s. 1d., postage and telephone £11 15s. 6d., hon. secretary's expenses £10, E. H. Lewis memorial service £8 7s. The Publication Account showed sales at £296 7s. 1d. and stock at the end of year £657 8s. 3d. In the Clement Glenn Bequest, investments at cost were £762 18s. 4d and cash at bank £136 10s. 6d. The balance sheet of the Central Council showed assets at £12,334 18s. 2d., made up of library £10, office and library equipment £8 15s. 11d., stock of publications £657 8s. 3d., debtors and payments in advance £942 2s. 7d., investments at cost £7,262 18s. 4d. (market value £7,345 14s. 4d. ), cash at bank and in hand £3,133 15s. 1d. On the other side, sundry creditors was £629 4s. 8d., amounts received in advance £1,825 2s., Clement Glenn Fund £899 8s. 10d., capital accounts £8,981 2s. 8d. ("Ringing World" £8,247 11s. 9d.). Presenting the accounts the hon. secretary and treasurer said the accounts had been audited by Messrs. H. Pitstow and A. A. Hughes. Although they made a profit of some £35 on the income and expenditure account, it was only due to the selling power of the Council's publications which made a profit of £57 14s. During the year there had been an unusual amount of stationery and printing done and that was the main reason for the extra expenditure. On the publication account they had a most successful year financially and Mr. and Mrs. Speed could hardly have had a spare moment throughout the year. On the Clement Glenn Bequest the usual £23 had been added as interest on investments. Following the desire of the Council last year, the expenditure incurred by the Sunday Service and Education committee could be charged to that account. He moved the adoption of the account. Canon K. W. H. Felstead said from the sales of publications it would seem that Plain Major methods would be out of print in 18 months' time and also one or two other publications, Who gave orders for reprinting? Mr. F. W. Perrens (librarian): "We do keep that in mind and we have already arranged for that to be attended to." Mr. V. Bottomley raised questions on the form of auditor's certificate and also that the title "consolidated balance sheet" be introduced. Mr. E. A. Barnett promised to bear these points in mind and the accounts were adopted. The Hon Secretary proposed to amend Rule 9 (Meetings of the Council) by substituting the words "at a previous meeting" for "at the previous meeting" in lines 2 and 3. Mr. Barnett explained that at the present time they could only arrange their meetings one year ahead at Whitsuntide. This would enable more than one meeting ahead to be arranged. Mr. F. I. Hairs seconded and the amendment was agreed to. The hon. secretary said the attendance was very similar to that of recent years. THE main function of the committee, common to all regions this year, was the arrangement of the Christmas broadcast of bells. A tower from each region was recommended and accepted by the B.B.C, and the resultant programme was of a very fair standard. It was unfortunate that Lincoln Cathedral was omitted, due to an extension of the News to cover the "Lakonia" disaster. The B.B.C. did, however, send an apology to those responsible at Lincoln. Mr. Pitstow was able to visit Broadcasting House to hear a run through of the programme, and discuss it with the producer. The main criticism was the speed of ringing at Swindon and Lincoln, in both cases the ringing was much too fast for successful broadcasting and we should impress on all ringers who broadcast or record for this purpose the need for good open ringing so that all the bells can be clearly heard. Although the engineers take every care in the placing of microphones, their efforts are nullified if the ringers fail to play their part toward success. A pleasing feature of the broadcast this year was the increase in time allowed each tower. Our suggestion that an extra tower be included, from East Anglia, was considered by the producer but it was felt this would complicate matters from a regional point of view and the extra time was divided between the towers. The change of time of the opening of the Light Programme brought a number of letters regretting the omission of the bells on Sunday mornings and we were able to put a notice in "The Ringing World" pointing out that the bells had never been omitted but merely put on at an earlier time, in fact (as always) to open the programme. One or two suggestions were made by correspondents regarding this broadcast and the committee are considering them. Northern Ireland.- Relations with the B.B.C. continue to be very good. Various towers were heard on television and sound during the year and the standard continued to be good. Radio Eireann.- St. George's, Dublin, almost had a monopoly on radio. They broadcast three times and on each occasion the time allowed was three to four minutes. However, St. Patrick's Cathedral, Dublin, had a "fair do" on Christmas Eve when they were given three-and-a-half minutes on the air and a special mention. The bells of Christ Church Cathedral as usual went on the air on New Year's Day. In the programme "Today" Mr. John Irwin did great credit to the Exercise. Scottish Region.- Discussions have taken place regarding the various rings available for broadcasting in the region and an up-to-date list is being prepared for the B.B.C. Northern Region.- Activities have been confined to the Christmas broadcast arrangements. London Region.- Here our activities have been chiefly confined to work for the Light Programme. It is hoped that an alternative group of recordings will be included in the Sunday morning broadcasts by the time the report is presented. Two successful visits to Broadcasting House have taken place. During the year the Ancient Society of College Youths made a new recording of Bow Bells at the request of the B.B.C. West and Wales.- Compared with last year 1963 was a very quiet one. Some five rings were heard prior to Sunday services and Rogate, Hants, were broadcast in the General Overseas Service. All except one were given advance notice in "The Radio Times." We could wish for a wider use of bells for these broadcasts but so far as the West is concerned a proportion of services broadcast are taken from the Midland Region, in which cases no mention is made in "The Radio Times" of the inclusion of bells. On television the ringers of Frome Parish Church were briefly seen and heard. Midland Region.- There were two instances where ringers were expected to ring before broadcast and television services without prior notice. The unfairness to the ringers of expecting them to ring without being prepared was pointed out to the B.B.C. organisers, who promised to rectify the omission in future. Invited to edit Christmas Day bells. East Anglia.-Apart from a Sunday service broadcast from Aldeburgh, nothing of interest has occurred. (Signed) H. J. SANGER (Convener), Rockyville, Evercreech, Shepton Mallet. Somerset. D. A. BAYLES. J. T. DUNWOODY, G. E. FEARN, H. N. PITSTOW, A. G. G. THURLOW, R. S. WILSON. Mr. H. Sanger moved the adoption of the report and said it recently came to his notice that they did not get as much on bells broadcast because people did not write about it. He asked people to write and reveal their interest. This applied particularly to ringing before Sunday services. Very often he turned on his radio to services from churches where he knew there were good bells and there were no bells. He felt their parsons could help in such matters if they approached them. Bells before the service were part of the service and it was up to local ringers to see that they were included. If not people should write to the B.B.C. who were an understanding authority. Mr. John Freeman said they would know from the report that the broadcast from Lincoln did not come over the air. He thought there was a tendency to ring too slow when broadcasting. If the microphone was not in the correct position it would give a wrong effect. Many ringers would agree that 12 bell ringing did not lend itself to good broadcasting as 10 bells did. With 12 bells the intervals were smaller and very often the acoustics were not so good. They felt if 12 bells were used they should be rung slowly. They did think a couple of years ago not to recommend 12 bells. Any 12 bell ringing must be slow. Mr. A. V. Davis (Winchester and Portsmouth Guild) wondered how much of the broadcasting they heard was "live" ringing. Correspondence had taken place in "The Ringing World" as to what could happen when a recording was used or misused. Recently in a broadcast from a southern town a recording was used and someone commented to him: "I suppose you chaps had a lay in." He expected many of them heard the memorial service for President Kennedy and would not forget the magnificent ringing at St. Paul's Cathedral. The bells were not rung too fast but the answer was in the broadcast and not the use of a recording. He suggested they should press for the bells to be rung before a broadcast service, but they should be "live" and not recorded. Mr. Walter Ayre spoke as the recorder of some of the broadcast ringing for Christmas which was recorded three weeks previously. The ringing they did was good and he defied anyone to say otherwise, but it was not good when it came off the tape. Something had been done to the tape. Mr. F. E. Dukes said a disappointing thing about the 8.25 Sunday broadcast was that they did not know whose bells were being rung. Perhaps the committee would make some effort with the B.B.C. to obtain this information. Mr. Harold Pitstow said as he was the only ringer who heard the recordings of the Christmas broadcast perhaps he might answer one or two of the points raised. He was invited by the B.B.C. to go and hear and edit the recordings - to take out the best section of each record. That did not materialise because some of the records did not get to London in time. London got recordings by taking them over land wires from the Northern Region. When everything was ready they set them going and John Snagg was in the studio and made his remarks from the tape on to a big disc. Lincoln had been criticised as to the speed of the broadcast. As 12 bell ringing, he agreed that it was not fast, but as it was coming over the amplifiers it was extremely difficult to pick out the little bells when mixed up with the big bells. This might be due to the microphone being fixed badly. It was cut out because of the "Lakonia" disaster. Continuing Mr. Pitstow said they were continually pressing the B.B.C. to do this or other, but they were very much in their hands. They got an officer interested in bells and then found he had been pushed elsewhere and they had to start educating another person. They had a very good friend there and he did his best to push bells. Mr. Cecil Pipe (Suffolk Guild) said he would be extremely sorry if through the advice of Mr. Sanger they were never to hear any 12 bells broadcast. Mr. John Mayne (Middlesex County Association) said it seemed unreasonable to expect a light 22 cwt. tenor to be rung at the same speed as St. Paul's with a tenor of 62 cwt. The finest piece of ringing he had heard on 12 bells was not from St. Paul's but from St. Martin's, Birmingham. The Rev. J. G. M. Scott (Guild of Devonshire Ringers) deplored the tendency on the part of the B.B.C. to use records for the bells before services. Some years ago they broadcast from Gidleigh where his father was rector. It was a ring of five and the bells ceased three-quarters of a minute before the start of the broadcast. The noise of people going to church and their conversations were heard. His father received hundreds of letters of appreciation. In regard to 12 bell ringing those in the West Country would enjoy St. Paul's or Birmingham better if they rang call changes! Canon K. W. H. Felstead said he was very surprised to see from the report that nothing of interest had occurred in East Anglia. Mr. G. Dodds (Hertford County Association): Am I right in thinking that the reason for so many records was due to the poor standard of ringing of "live" broadcasts? Mr. Denis Bayles (Durham and Newcastle): The chief reason recordings are made on Christmas Day is that a minimum number of technical people should be employed that day. Mr. Norman Chaddock (Sheffield and District Society): May I appeal at towers where bells are recorded to ring their bells at the same time? During 1963 the work of the Towers and Belfries Committee increased considerably. Advice on bell and tower restoration was given in 85 churches, an increase of 17 over 1962, and four more than the previous outstanding peak year, 1961. It appears that the second cycle of bell restoration work, mentioned in our last year's report, has commenced. The 85 churches in which advice was sought in 1963 may be analysed geographically thus Berkshire 6, Breconshire 1, Buckinghamshire 3, Caernarvonshire 1, Cambridgeshire 1, Cheshire 1, Cornwall 2, Devonshire 11, Gloucestershire 2, Herefordshire 2, Kent 1, Lincolnshire 1, Leicestershire 1, Merionethshire 1, Northamptonshire 10, Northumberland 1, Nottinghamshire 2, Oxfordshire 5, Rutland 2, Somerset 20, Shropshire 1, Surrey 2, Sussex 1, Yorkshire 2, Australia 2, United States of America 3. Total 85. The locations of the towers seeking advice varied considerably from those of the previous year. Of the total of 85 reports, 16 were dealt with by correspondence; the remainder were visited by members of the committee. In addition the convener has given 14 lectures to diocesan, architectural and professional organisations, and Mr. Threlfall has done considerable research in bellhanging and clappering. In contrast to last year, when no advice was given on augmentation, ten parishes sought advice on this during 1963. The number of towers seeking advice on recasting increased this year to nine. Forty-three churches sought advice on rehanging, or were advised by members of our committee to rehang their bells completely. Last year the number seeking advice on repair and maintenance reached a peak figure of 37; this year the number has increased to 45, a welcome indication that more parochial authorities are concerning themselves with this important work. The number of towers where extensive damage has been done to masonry or where there are structural defects in them increased to 18. Advice on sound control and modification was given in 21 churches. Somerset again headed the list of inquiries, with Devonshire second; an indication that the West Country is doing excellent work in maintaining and improving its bells and gear. The Truro Diocesan Guild's motion on the best method of approach to diocesan chancellors in regard to advice on bell restoration was the subject of much correspondence between members of the committee, and the convener wishes to thank Mr. Threlfall for attending to the majority of this while he was absent in America. The committee was almost unanimous in its decision that it would be unwise to contact diocesan chancellors in this matter and recommends that the best way of ensuring advice on bell restoration is given by competent persons is to urge all Associations and Guilds to bring the matter to the notice of their members. The committee wishes to emphasise that chancellors usually seek the advice of Diocesan Advisory Committees, and that these committees have close liaison with the Council for the Care of Churches in the same way that Ringing Guilds are associated with our Central Council. Also, that through its Towers and Belfries Committee, our Central Council and Council for the Care of Churches have had joint meetings in recent years and that the two Councils agreed a common policy in regard to bell restoration. A summary of the decisions of the two Councils is printed in our Council's handbook, and has been circulated to all Diocesan Advisory Committees. Last year our committee had occasion to draw attention to one instance in which bells and gear had been dismantled without either the Chancellor of the Diocese, the Archdeacon or an architect being consulted, and without faculty application being made. Members are urged to emphasise the necessity of obtaining a faculty for bell restoration work; or alternatively, an Archdeacon's certificate it the work is of a minor character. This year a difficulty of another nature arose when the repairs to the masonry of a tower were not mentioned in a faculty application. We wish to stress the point made last year that where restoration work is necessary to both towers and bells it is of vital importance that the two should be done together. Our committee met early this year to discuss the question of revising the handbook on bell restoration and of producing a more comprehensive book. Before we can proceed in detail we wish to learn how much money is available for printing this work so that we may plan accordingly. A sum of approximately £500 is needed to produce 2,000 copies of the book we have in mind and we seek the authority of the Council in this matter. As in previous years this report is compiled from statistics sent to the convener by individual members. We cannot conclude our report without acknowledging our sincere appreciation of and gratitude for the tremendous amount of work done for this committee for so many years by the late Edwin H. Lewis, and to pay tribute to his life and work. His knowledge of bellhanging and the problems of tower oscillation were outstanding. He was a leading authority in all matters concerning bell restoration and freely placed his knowledge at the disposal of all. We regret the passing of so great a man and feel keenly the loss of such a wonderful colleague. FREDERICK SHARPF, F.S.A., F.I.O.B., Derwen, Launton, Bicester, Oxon, (Convener). B. AUSTIN, A.R.I.B.A., J. W. CLARKE, F. E. COLLINS, M.I.Inst.E., J. FREEMAN, W. A. OSBORN, H. J. SANGER, J. G. M. SCOTT, M.A., B. D. THRELFALL, M.A., A.M.I.C.E. Mr. Frederick Sharpe, in moving the adoption of the report pointed out that it was compiled from statistics sent in from individual members of the committee. In regard to future policy, last year they were charged with the desirability of producing a more comprehensive book on the preservation of church bells. It was felt that it should be something that should be on every architect's bookshelf. They had gone into the matter and they would like authority to plan ahead and print 2,000 copies that would cost not more than £500. They sought the authority of the Council. The Rev. J. G. M. Scott seconded. The hon. secretary said the Standing Committee recommended that authority be given to the committee to expend up to £500 as mentioned in the report. Mr. P. A. Corby congratulated the Towers and Belfries Committee on their report and on the splendid work they were doing. In his area, instead of a church having a "bodged-up" six it was an augmentation into eight as the result of the report of a member of the committee. The local people had been very grateful for the help given and they had adopted every word of it. He would like to express appreciation of the article in "The Ringing World" of August 16th as the result of Mr. Brian Austin's communications with the R.I.B.A. He had done some valuable work there which he hoped would be of benefit. Mr. Brian Warwick asked the name of the church in Leicestershire that had received assistance. He was a member of the Diocesan Advisory Committee and he had not heard of any church needing assistance. Mr. Sharpe said he believed it was a tower which sought assistance on sound control. He had not the details with him but would write. Mr. Harold Rogers wondered in regard to the new book the committee were producing if they had not been too conservative in price. He would like to see it a worthwhile production with many illustrations. One aspect he would like to see in the book was sound control inside and outside the tower. For that purpose there should be an illustration of a sound lantern for towers. They had seen some good examples. There was an excellent one at Carbis Bay as well as at Isleworth. In both these towers one could stand underneath when the bells were ringing and carry on a normal conversation. In reply, Mr. Sharpe said they had allowed £300 for printing, £100 for binding and £100 on illustrations - in brief round figures. Dr. D. N. Layton (University of London) said he would like to emphasise the word "control." They did not want to annoy their neighbours during practices but on Sunday they wanted the maximum amount of noise. He hoped that arrangements would be made for the draft of the book to be seen. Mr. Sharpe: That is what we had in mind. Obviously we cannot circulate it among all members. The committee will meet and decide who will write the different sections. On the question of sound control some 30 years ago he brought out a device of a clapper board with a small bell attached. The small bell rang as the rope was pulled and the tinkle could be heard 50 yards away. They had police permission to use it during the war. Mr. Geoffrey Dodds (Herts County Association) asked if there had been any response to Mr. Austin's article respecting bells in new churches. Mr. Sharpe: Yes. Mr. Austin's article has been published by several diocesan magazines. Others have accepted it and considered printing it. The response was very good indeed. The hon. secretary said that the Standing Committee at its meeting considered the agenda in detail and made a number of recommendations. Mr. Douglas Hughes was co-opted under rule 12 (2) which would enable the trustees of the Carter machine to be represented. He moved the adoption of the report and Mr. F. I. Hairs seconded. The report was adopted. The corporate communion in the Cathedral on Tuesday morning was largely attended. The president (Canon Gilbert Thurlow) was the celebrant, assisted by the Dean (the Very Rev. H. M. Lloyd), the Cathedral treasurer (Canon J. A. Simcock) and the general secretary of Truro Guild (the Rev. A. J. Vincent), who is Vicar of Kenwyn. The Bishop (Dr. J. M. Key) was also present. With the increased interest in the residential and the one-day course, it has been thought opportune to append to this report a summary of the courses already held. Though the attached summary gives much useful information and will be useful to the organisers of future courses, there may be omissions and we extend our apologies if such is the case. Apart from courses partly or wholly organised by members of this Committee, advice has been given to several other Guilds who how undertaken week-end or one-day courses. Inquiries of this kind are welcomed. The one-day course has much to commend it, being within the resources of most ringing associations and involving neither student nor organisers in any great expense. A comprehensive survey of contacts established so far was made last year (covering approximately half the Colleges). This year efforts have been made to establish contacts in Colleges where hitherto little progress had been possible. Lincoln.- A lecture and demonstrations were given in September by some Lincoln Cathedral ringers followed by visits to the tower. Mr. John Freeman, who made the arrangements, hopes to make this an annual event. 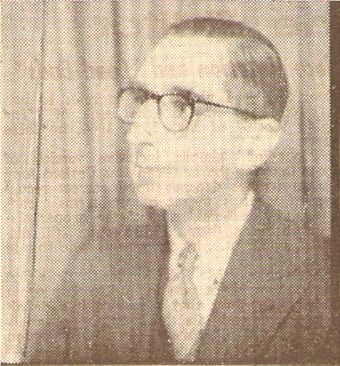 Llandaff.- Mr. M. J. Pryor gave a talk to students in October, 1963, followed by a tower visit and the loan of handbells to the College. He is arranging for a repeat every other year. Southwark.- (Business man's ordination course.) - Mr. W. G. Wilson gave a talk in June and was well received. Bound books accepted with gratitude. St. Aidan's, Birkenhead.- Mr. J. W. Clarke, who gave a talk two years ago, has further arrangements in hand. Wells.- Has been sent a set of bound books and Mr. G. Salmon hopes for a lecture soon. Worcester.- Lecture and demonstrations, given by Mr. David Beacham in November were much appreciated and he hopes to arrange further lectures. Ely.- In the hands of Mr. J. W. Pickett, who has made contact with the Principal with a view to a lecture early in 1964. Westcott House, Cambridge, Ridley Hall, Cambridge.- In the hands of Mr. Brian Threlfall, who is still negotiating for a lecture. London College of Divinity.- In the hands of Mr. W. G. Wilson. Oak Hill.- Mr. T. J. Lock reports that students had little time for organised consideration on campanology and was, therefore, leaving it whilst these circumstances obtained. Edinburgh.- Mr. R. S. Wilson reports that there had been important staff changes at the College and that he was waiting until things settled down. One student was receiving instruction in ringing. Ripon Hall, Wycliffe Hall, Cuddesdon, Oxford.- In the hands of Miss R. Cross. Mirfield.- In the hands of Mr. W. F. Moreton. Experience has shown that direct approach to the Principal by some person who can indicate activity in church work in addition to ringing brings results. An annual lecture is the first aim. Principals tend to prefer their students not to take on time-consuming activities additional to their course. Twelve sets of bound C.C. books have been presented to various college libraries to date and another twelve books obtained through Mr. Viggers for future use. Committee Chairman, who was principal instructor during Washington visit. Recruiting Leaflet.- In conjunction with Mr. E. A. Barnett, the Rev. G. Thurlow and the Editor of "The Ringing World," 1,000 copies of an illustrated recruiting leaflet suitable for posting on church notice boards have been printed and are available through the librarian. Filmstrips.- There is a demand for instructional filmstrips and the ground is being prepared for the production of a general interest film strip, possibly with a section or a second strip devoted to change ringing. These could be useful for recruiting and elementary instruction. Belfry Prayers.- Requests for copies of these continue to be received and duplicated copies are almost exhausted. It is now suggested that the Council print a selection of these in suitable form and distribute them through the librarian. Bell Ringing in Schools.- The Convener has had correspondence with, and a visit from, Mr. Michael King, who, as part of his course at St. John's College, York, is doing a thesis on "Bell Ringing in Schools To-day." It is hoped that a copy of his thesis will eventually be published in "The Ringing World" or made available to the Council. Teachers already make a large contribution to ringing activity and much recruitment is done in schools. The time may soon be appropriate for more organised links between Training Colleges and existing ringing organisations and the Council. Talks and Lectures.- In addition to several talks given by other members of the committee, Mr. Sharpe gave 23 lectures on bells in various parts of the country. He also made a fortnight's lecture tour in America, where he was very well received. His efforts there are likely to prove very rewarding. (Signed) N. CHADDOCK (Convener), 17, Herringthorpe Grove, Rotherham, Yorks. F. B. LUFKIN, W. F. MORETON, MARIE R. CROSS, F. SHARPE. A course was held in Essex in 1953, and there was a gap until 1959, since when there has been a steadily rising number of courses, viz. : Somerset, Gloucester, Oxford, Buckinghamshire, Hereford and Suffolk (one each), Peterborough Guild (three), Yorkshire (Grantley Hall) (four). The Oxford Guild, the Durham and Newcastle Guild and the Derby Guild have also run one-day courses. Courses are planned in the near future at Hereford, Grantley Hall (near Ripon) and in Surrey. Some courses have been elementary, some advanced, some specialized, some general. Some have provided alternative lectures, e.g., those at Grantley Hall provide parallel elementary and advanced courses with choice of two lectures throughout the course. There has also been a spare tutor to give individual or group instruction where appropriate. Most courses have had practical demonstrations or sessions in nearby towers. Good use has been made of aids such as handbells, tape recorder, slides, film strips, illustrations, charts and diagrams. Central Council publications have often been on sale and use has been made of the Central Council Library. Lecture periods have varied from three-quarters of an hour to one and a half hours including activity and discussion. Topics covered have been diverse, including: Towers, bells, history, casting and tuning, how rung and maintenance; initial instruction, bell control, elementary change- ringing, methods of teaching; rhythm and striking; change-ringing on handbells, tune ringing; method study, method structure, composition and proof; conducting; spliced ringing; place notation; service ringing; tower organization; The Guild. Over 30 different lecturers have shared in the lectures and though certain ones figure prominently, it has been the policy, where members of this Committee have been concerned, to introduce new lecturers and so extend interest in this phase of ringing. Fees have varied from a few shillings for a day course to about £3 for tuition and board over a full week-end. Some courses have had both day and resident students. Full details of all courses to date, including lecturers and topics, are available on application to the Convener of this Committee. Mr. Norman Chaddock, in moving the adoption of the report, mentioned that a gift of books had been made to Washington. He was very pleased to hear that of the recruiting leaflet 700 had been sold. The report contained a reference to belfry prayers and a decision was made that a card be printed and made available through the librarian. In regard to training at Washington, a good deal of thought was given to it before they went. Mr. F. Lufkin, in seconding, said in regard to theological colleges it was to the local people they looked to carry on the work. Mr. Philip Gray suggested that the list of courses published in the report was incomplete. They had had two in Gloucester and one in Bristol which were not mentioned. Mr. Chaddock said these were included in the details of courses already held. This report was available for those interested. Mr. D. Bayles said the people who visited Worcester College should know that in his parish they had a new curate who acquired some initial instruction in ringing. Since he had been with them he had taken up ringing and was progressing very well. The usual ringing publications have come to our notice again this year: "Overtones" is published by the American Guild of English Handbell Ringers. This delightful journal appears quarterly and contains photographs of handbell choirs, music for handbell ringers and news of various handbell functions in America. The principal event covered was the eighth National Convention of the A.G.E.H.R. at Detroit in June, at which Mr. Frederick Sharpe was the guest of honour. The publication of the Irish Association "The Irish Bell News" completed its fourth volume with a record circulation. Its circulation extends to the four corners of the earth and is predominantly an Irish ringing paper which finds an interest outside the Emerald Isle. The much improved "Ringing Towers," the journal of the Australian and New Zealand Association, continues to thrive. It now regularly includes a Conductor's Corner, as well as "Quarter's Ringing," "Belfry Gossip," and "Other Tower Items." A new publication, "The Belfry News," appeared and it is the journal of the Derbyshire ringers. It comes out monthly and is the first publication to appear in foolscap form. Although dealing mainly with news of Derbyshire interest, it contains also material which is suitable for a wider field, such as hints on the care of bells, change ringing and other technical matters. The quarterly magazine of the Maidstone District of the Kent County Association, "The Belfry," has been erratic in its circulation and we trust this is of a temporary nature. It has become more technical than previously when it consisted mainly of news items about various towers. Ranald Clouston's Part II of the "Church Bells of Aberdeenshire" made its appearance during the year. This is very valuable and takes its rightful place amongst the works of the other bell historians who have given of their time to record much factual information on the bells of our churches. Trade journals this year contained very few references to our art; only three came to our notice. The I.C.T. House Magazine published two articles, the first was by W. D. N. Foote, of the Computer Division, Putney, called "Campanologists Pull Together" which deals with an outing by the ringing employees of I.C.T. The second article was by Jean Sanderson, former librarian, I.C.T. Engineering Division, Stevenage, called "Ring out ye Bells" which is technical and instructive. "Bells That Never Ring," by A. G. Matthews, was an article in the Foundry Trade Journal. It dealt with casualties to bells of historical interest, such as the Great Bells of Russia, our own Big Ben, and the Liberty Bell. Fictional periodicals seemed to have nothing to say about bells, except "Today" which published a very amusing and yet to-the-point story entitled "The Belles of St. Jude's." This story enlarged upon the effect of an unsuitably dressed lady ringer and how the younger male ringers reacted. The newspapers continue to provide a spate of references and articles dealing with the art, some amusing and others serious. The "Yorkshire Post" in its column "This World of Ours" presented a humorous experience of a traveller in a train nearly being driven "batty" by four bell ringers practising change ringing with their clenched fists and thumbs up. The new 53 bell carillon for Washington Cathedral was covered by the "Leicester Mercury" and both the carillon and the ring of bells received mention in the various Irish and American papers. We are surprised that so little has come to hand about these bells. Lancastrian, in the "Lancashire Evening Telegraph," devoted his column on October 21st to campanologists meeting in Accrington for a competition which really turned out to be an informative interview with Roger Leigh, head ringer at Accrington. The (Accrington) "Observer" also mentioned the competition and its interview with Mr. Leigh and published a photograph of Cyril Crossthwaite demonstrating the bell-ringing machine. This machine was invented by Mr. Woodhouse, of Sedbergh, who constructed the prototype. The recast and augmented ring of bells at Lapworth received mention in "The News" (Solihull). Whilst there was nothing spectacular about these reports, we find that they are more accurate than has generally been the case over the years. The work of Mr. A. York-Bramble received mention in the "Portsmouth Evening News" on no less than three occasions, the first of which was a description by a beginner of his initiation to ringing in an article called "The Bell Had a Hollow Ring of Terror," whilst the second mentions Mr. York-Bramble's talk to the Portsmouth Rotary Club. The Press seems to have taken the view that we have cried "Wolf, Wolf" too many times for very little coverage was given to the extent of Plain Bob Major rung at Loughborough. The "Guardian Journal" of Nottingham alone seems to have given a straightforward account of the event. On the lighter side, the "Yorkshire Post" presented a rather delightful article called "Simon Said 'Thumbs Up'" and on the serious side a complaint was raised in the East Anglian News about ringing at St. Nicholas', Harwich. The Vicar, in reply, attributed the noise to learners. It behoves us all to consider our neighbours and where an annoyance from ringing is likely to occur, to see that the clappers are clipped or muffled. Personalities continue to receive notice in the papers, Mr. Bradley, of the Folkingham band, looked back on 50 years of ringing in the "Sleaford Standard." A more serious note was struck in the "Cambridge News," which gave an account of experiments being carried out in the Engineering Department of Cambridge University. The experiments with a 98 lb. bell control the movement of the clapper against the side of the bell and it is hoped that the results will enable the design of the bell, its clapper and suspension to be rationalised. "If the tests are successful, the mechanics of the bell's motion," the "News" says, "which up to now are sketchy - will become clear and the awkwardness of ringing bells will disappear." Our attention was drawn to a good illustrated article on the Ringing Society in Shebbear College, Beaworthy, North Devon, which appeared in the "Times" Education Supplement in December, 1962. As we did not see this article we are unable to comment on it but merely record its appearance. Still on the Educational side, Miss Brigid Gray, who is not a ringer, wrote a very intelligent article called "Campanology or the Art of Bell Ringing" in the "Droghedean," which is the magazine of Drogheda Grammar School. Although Brigid is not a ringer, she was able to pump her eight fellow boarders in the school (who regularly ring for services at St. Peter's, Drogheda) for information about ringing. It seems that they are good learners at that school! The Irish papers were more attentive than previously about bell matters. The (Dublin) "Evening Herald" published an historical article by Tom Tobin called "The Bells of St. Mary's Are Hidden For Ever." The note centres around one of the legends about the bells of St. Mary's Cathedral, Limerick. The bells of Buckfast Abbey were featured in the "Cork Examiner" London Letter column, which was written on the occasion of the golden jubilee of these bells. A sub-leader in the "Irish Times" headed "Wild Bells" was relative to the pealing at odd hours of the bell at the Church of Pellegrino, Italy. The writer went on to praise bells and concludes: "Their spontaneous outbursts mights be a good corrective to the booming utterances and tinkling sententiousness of politicians in East and West alike." Altogether, it was a most heartening discourse. About half a page was devoted to the tower and clock chime of bells in Cannock's Store, Limerick, in the "Irish Independent." "Will You Learn the Ropes?" was the title of a column in the "Evening Press." It made special reference to Billy Lynch's 61 years of ringing in Ireland. Further afield, "The Victoria Daily Times" had an interesting article on Christ Church Cathedral, B.C., and its bells. Special mention was made of the Izard family's interest in and work for ringing in that far-away post. Parish magazines seem to contain the usual amount of interesting references to bells and bell ringing. "Home Words," the inset which accompanies many parish monthlies, frequently has letters about the bells of this and that parish church, which make interesting reading. Occasionally one finds a note on the art in other sections, such as the "Young People's Page," which wrote about "Looking at Towers and Spires." The cover of the "Yarmouth Parish Life" was a photograph of the bellringers ringing the bells of St. Nicholas' Church. The same issue devoted a section to the visit of the Central Council to Great Yarmouth at Whitsuntide. Lambourn bells were featured in "The Country Churchman" and the front cover showed one of Lambourn's bells in the "set" position. In the pit beside the set bell and holding on to a wheel stay was a man who does not appear to be on the young side. We wonder if it is wise for ringers to allow themselves to be photographed under such dangerous conditions; we draw attention to this point and recommend that all ringing societies should deprecate any encouragement by photographers to ringers to be photographed under hazardous circumstances. In "Parson and Parish" Mr. Edgar Shepherd wrote an article on "Belfry Praise," which was given three pages. The article dealt with the brief history of ringing up to the formation of the Central Council and its work. It was intended as an informative article for clergy. The parish magazine of All Saints', Belfast, published a useful paragraph by Mr. B. Austin, who deplored the lack of provision of towers in new churches. The bells of Christ Church, Bray, were referred to in a leading article in the "Church of Ireland Gazette" on the occasion of the centenary of the church. Trowbridge parish magazine, "The Bridge," devoted one and a half pages to Mr. Gilbert Harding and the bells. Apparently the "Wiltshire Times" made mention of Mr. Harding, who took part in a special peal to mark the 80th anniversary of the Salisbury Guild. He had been a ringer for 55 years. An interesting reference in the article is to the only Salvation Army bell in a church tower in the country. The second bell at Trowbridge was provided by the local Salvation Army group. The new tower and resited bells of Carrickfergus were featured in the St. Nicholas' magazine. We seem to be getting only a small quantity of all the bell information which is published and we should be glad to receive copies of all references to bells, bellringers and ringing which appear in the various publications throughout the world. We are not unmindful of the material sent to us, and to our suppliers we say "Thank you." (Signed) EDGAR C. SHEPHERD, Convener, 46 Manor Gardens, Warminster, Wilts. Mr. E. C. Shepherd moved the report be adopted and Mr. F. E. Dukes seconded. The President called attention to the statement published in the Press concerning the Rector of Loughton, Essex, who called attention to the new housing estate being built near his church and those responsible for the design to make the houses soundproof. The church had been there before the houses and he would not silence the bells. He also asked for trees to be retained as they deadened sound. In the "Times" appeared a charming photograph of the ten men ringing at Washington. THE peal totals for 1963 show a large increase over those for 1962, with an outburst of both tower and handbell peals. The grand total including the belated two peals from 1962, is 2,962; with 2,720 on tower bells and 241 "in hand." The handbell peals are up by 60, mainly from the Gloucester and Bristol, Hertford C, Leicester G. and the Middlesex C.
The controversial peal at Penn is not included, neither is one rung at Gorseinon, for the Swansea and Brecon G. rung with two leading bells - a great pity, for there were five first pealers in it. The peal rung at Oakham - Rutland Surprise Major - to proclaim Rutland's independence - was originally credited by W. A. to the Leicester G., but for political reasons it is now included in the Unattached List. For the first time for years the Leicester G. do not top the table, for the Lancashire A. is the leader this year with 218 peals. These eight rang 42.8 per cent. of the total peals. Ancient Society of College Youths.- Silent and non-conducted peal of Stedman Cinques. Australia and New Zealand A.- Adelaide Cathedral, first peal on bells and three " firsts." Melbourne: Cambridge Major (first of Surprise outside British Isles), four "firsts" of Surprise. Chester G.- 11,552 Superlative; 11,520 Rutland; 13,320 Plain Bob Royal (HB); 21,600 Spliced T.B. Minor in 60 methods. East Grinstead and District.- Grandsire Triples - four "firsts" and first as conductor. Gloucester and Bristol.- 143, 122, 111, 105, 100 Minor methods on tower bells; 52, 50, 48, etc., Minor methods on handbells. A 15-year-old girl's first peal in six Minor methods. Hereford D.- 54 and 45 methods of Doubles. Hertford C.- 30 and 16 Spl. S. Major; 10, 8 and 5 Spliced Surprise on handbells; with other Surprise Major "in hand." Lancashire A.- 18 Spliced Surprise Maximus; 12 and 6 Surprise Royal. Leicester D.- New Durham Maximus "in hand." Two Spliced S. Royal "in hand," with three other Surprise Royal "in hand"; nine other peals in Surprise methods "in hand"; 10,440 Cambridge Royal "in hand"; last of all, though it should have been the very first, the great achievement of the extent of Plain Bob Major, to whom everyone would wish to offer their congratulations and desire us to record the same in our report. Middlesex C.- 12 and 9 methods Spliced Surprise Major on tower bells; 9, 8, 6, 5 and 4 methods Spliced Surprise Major "in hand"; Cambridge Royal where one person rang 1/2 on tower bells. Southwell D.- Nuthall.- Cambridge Minor (all first pealers). Sussex C.- Lower Beeding.- One method of Doubles (all first pealers at first attempt). University of London.- 15,840 Minor in one method - on handbells. ; 10,560 Pudsey S. Major. Worcester and Dists.- Four "firsts" and first as conductor of Doubles in three methods. Yorkshire A.- Spliced Surprise Royal in 18, 14, 12 and 5 methods. It would be of interest if the conductors of peals using St. Nicholas and Southrepps in peals of Minor could give some indication of what these really are. We often wonder what was really rung, e.g., one peal in two Minor methods showed five extents. Do we rule this out or does the conductor think we are thought readers? Maximus.- Cambridge 28, Yorkshire 11. Royal.- Cambridge 49, Yorkshire 34, London 15, Plain Bob 38. Caters.- Grandsire 46, Stedman 43. Major.- Spliced Surprise 8 16, Spliced Surprise 6 12, Spliced Surprise 4 19, Aldenham 10, Bristol 54, Cambridge 108, Lincolnshire 55, London 105, Pudsey 19, Rutland 44, Superlative 35, Yorkshire 137, Kent T.B. 25, Oxford T.B. 10, Double Norwich 52, Plain Bob 245. Triples.- Grandsire 96, Stedman 68, Plain Bob 28. Minor.- Over 21 methods 34, 14-20 methods 21, 8-13 methods 59, seven methods 170, six methods 15, five methods 34, four methods 49, three methods 56, two methods 39, one method 368. Doubles.- Fourteen methods 49, 8-13 methods 31, seven methods 18, four methods 12, three methods 19, two methods 15, one method 115. (Signed) W. AYRE (Convener), The Old School House, Leverstock Green, Hemel Hempstead, Herts. Mr. W. Ayre, in moving the adoption of the report, said they had with them the conductor of the 40,000 peal of Major. It would be nice if he would stand up. Mr. R. B. Smith stood, up and received the warm applause of the assembly. Mr. Ayre called attention to another member of that band also present. Mr. John Jelley stood up and was accorded a round of applause. Continuing, Mr. Ayre said no words of his could express what they felt about that peal. "We all know what it would be like. We congratulate them." When the Council resumed after the lunch interval, the president made an interesting presentation. For many years, he said, the Council, and indeed the Exercise, had in a variety of ways had helpful assistance and advice of particular value from Frederick Sharpe. He had been their president for six years and it was felt that his termination of office should not go unmarked. On behalf of his friends he presented Mr. Sharpe with a signature book. Mr. Sharpe: It is very nice of you to think of me and I hope many of you will come along and put your names in it. The compilation of the second book of compositions in the popular Major methods is progressing, though much more slowly than anticipated. Very few contributions have been submitted and we would appreciate further examples of worthwhile material. (Signed) W. CRITCHLEY (Convener), 38, Castle Hills Road, Scawthorpe, Doncaster, Yorks. The adoption was moved by Mr. Critchley and seconded by Mr. Feirn and carried. Mr. R. S. Anderson moved a vote of thanks to the president for presiding (applause). The president proposed a comprehensive vote of thanks to all who had contributed to the success of the meeting. They were, he said, extremely grateful to the Truro Guild for the tremendous amount of work they had done, particularly Alan Carveth (president), D. Burnett (Ringing Master) and the Rev. A. J. Vincent (secretary), the incumbents for the use of the bells, and steeplekeepers and all concerned in any way with the maintenance of bells and also all those who gave them such a warm welcome, including those on the way to Truro. They were also grateful to the Mayor and Mayoress for coming along to welcome them. They were very grateful to the Bishop of Truro for his welcome and to the Dean for the lovely service in the Cathedral and the use of the Cathedral bells. Lastly the president thanked the Truro Diocesan Guild for the reception that was to follow. 7 5,088 Kessingland S.Maj., Lincoln D.G. 17 5,024 Hackney S.Maj., Middlesex C.A. 19 5,040 Rickmansworth Bob Roy., Oxford D.G. 21 5,088 Inverness-shire S.Maj., Lincoln D.G. 26 5,120 Goole S.Maj., Yorkshire A. 28 5,280 New Durham S.Max., Leicester D.G. 30 5,088 Leigh Bob Maj., Lancashire A. 2 5,024 Ploughley S.Maj., Oxford D.G. 11 5,088 Quadring S.Maj., Lincoln D.G. 14 5,088 Mottram S.Maj., Middlesex CA. 18 5,024 Folkestone S.Maj., Lincoln D.G. 23 5,088 Putney S.Maj., Surrey A. 23 5,024 Steyning S.Maj., Sussex C.A. 28 5,024 Aldersgate S.Maj., Middlesex C.A. 16 5,040 Whitby S. Roy., Yorkshire A. 19 5,056 Dover S.Maj., Sussex C.A. 18 5,024 Penzance S.Maj., Middlesex CA. 19 5,056 Havant S.Maj., Glos and Bristol D.G. 22 5,024 Edenham S.Maj., Lincoln D.G. 25 5,056 Christchurch S.Maj., Winchester and Portsmouth D.G. 29 5,088 Bishopsgate S.Maj., University of London S.
5 5,056 Stand S.Maj., Lancashire A. 11 5,024 New Durham S.Maj., Leics D.G. 11 5,024 Quinbury S.Maj., Hertford C.A. 13 5,152 Frome S.Maj., Lincoln D.G. 15 5,088 Vermont S.Maj., Middlesex C.A. 25 5,040 Christchurch S.Roy., Winchester and Portsmouth D.G. 30 5,184 Gunnersbury S.Maj., Middx C.A. 6 5,056 Johannesburg S.Maj., Oxford D.G. 8 5,088 Montgomery S.Maj., Hertford C.A. 9 5,152 Trinity Sunday Ex. Maj., Lancs A. 20 5,120 Queensway S.Maj., Middx C.A. 29 5,056 Dartford S.Maj., Hertford C.A. 1 5,088 Vancouver S.Maj., Glos and Bristol D.G. 10 5,088 Fairfield S.Maj., Derby D.A. 11 5,024 Heston S.Maj., Middlesex C.A. 12 5,088 Zurick Zurich S.Maj., Midland C.G. 24 5,024 Metheringham S.Maj., Lincs D.G. 26 5,088 Amsterdam S.Maj., Midland C.G. 1 5,024 Frodsham S.Maj., Middlesex C. A. 15 5,040 Elmham Imperial Bob Triples, Norwich D.A. 17 5,088 Melford S.Maj., Hertford C.A. 19 5,120 Birstall S.Maj., Yorkshire A. 24 5,024 Stoke S.Maj., Coventry D.G. 24 5,040 Heptonstall Little S.Maj., Yorks A. 26 5,120 Moira S. Maj., Leicester D.G. 29 5,088 Preston S.Maj., Middlesex C.A. 7 5,056 Langston S.Maj., Oxford D.G. 16 5,152 Ob S.Maj., Leicester D.G. 18 5,088 Blackburn S.Maj., Lancashire A. 19 5,184 Datchet S.Maj., Middlesex C.A. 28 5,088 Pickering S.Maj., Lancashire A. 29 5,088 Windsor Treble Bob Maj., Oxford D.G. 30 5,152 Packington S.Maj., Leicester D.G. 3 5,088 Brentwood S.Maj., Middlesex C.A. 17 5,024 Cleveland S.Maj., Middlesex C.A. 21 5,056 Trafalgar S.Maj., Lincoln D.G. 26 5,058 Islay S.Maj., Norwich D.A. 28 5,040 Upton S.Roy., Leicester D.G. 29 5,024 Pulborough S.Maj., Sussex C.A. 31 5,056 Yiewsley S.Maj., Middlesex C.A. 14 5,056 Sunbury S.Maj., Middlesex C.A. 16 5,152 Belper S.Maj., Derby D.A. 23 5,120 Burslem D.Maj., Southwell D.G. 12 5,024 Hardham S.Maj., Middlesex C.A. 16 5,088 Wittering S.Maj., Lincoln D.C.
21 5,088 Cumberland S.Maj., S. Royal Cumberland Youths. 26 5,088 Kettlethorpe S.Maj., Lincoln D.G. 31 5,024 Llanfihangel-Rhydeithon S.Maj., Leicester D.G. July 6 10,560 Pudsey S.Maj., Univ. of London S.
July 27/28 40,320 Plain Bob Maj., Leics D.G. Sept. 14 11,520 Rutland S.Maj., Chester D.G. Jan. 6 5,280 New Durham S.Max., Leics. D.G. Feb. 3 5,040 New Cambridge S.Roy., Leics D.G. Feb. 5 5,152 New Durham S.Maj., Leics D.G. May 5 5,040 Lindsey S.Roy., Leicester D.G. May 5 5,056 Pudsey S.Maj., Hertford C.A. June 18 5,120 Gloucester S.Maj., Hertford C.A. Aug. 6 5,120 Ealing S.Maj., Hertford C.A. Sep. 11 5,056 Tring S.Maj., Hertford C.A. Sep. 24 5,024 Spliced Five S.Maj., (all the work), Hertford C.A. Oct. 8 5,152 Lincolnshire S.Maj., Leics D.G. Oct. 15 5,152 Aldenham S.Maj., Leics D.G. Nov. 5 5,088 Whitwick S.Maj., Leicester D.G. Nov. 19 5,056 Minsmere S.Maj., Hertford C.A. Nov. 26 5,120 Fordham S.Maj., Leicester D.G. Dec. 1 5,040 Spliced Two S.Roy., Leics D.G. Sep. 3 5,056 Rutland S.Maj., Hertford C.A. Mar. 3 10,440 Cambridge S.Roy., Leics D.G. Jan. 12 5,160 Twelve S.Roy., Lancashire A.
Apr. 13 5,040 Eighteen S.Max., Lancashire A.
June 22 5.000 Fourteen S.Roy., Yorkshire A.
Nov. 9 5,040 Eighteen S.Roy., Yorkshire A. The above is the report of the Records Committee, being those peals in the method and progressive performances published in "The Ringing World." (Signed) F. T. BLAGROVE (Convener), 57, St. Andrew's, Crescent, Windsor, Berks. J. R. MAYNE, E. K. FLETCHER, L. K. MARSHALL. Moving the adoption of the report, Mr. F. T. Blagrove made a number of corrections, substituting Purbeck for Moira, Oxley for Ob and Guernsey for Llanfihangel-Rhydeithon. There would also be an additional name to coming for Burslem Delight Major. In the progressive lengths would be added on April 15th 11,552 Superlative Surprise Major, Chester Diocesan Guild. As to the submission of compositions the Leicester Diocesan Guild had "coughed up." There were a number of Associations who did not send in the compositions of new methods rung, in fact the only Associations that did so were Kent, Leicester and generally the Middlesex. Mr. John Mayne seconded the adoption. Canon Felstead asked if all these methods were published. Mr. Blagrove replied that the methods were always published in "The Ringing World." It was a question of compositions. They were sometimes not published and they were not always sent in. The Middlesex did not always send in their compositions. He paid a tribute to the work done by Mrs. Fletcher and Mrs. Marshall. Mr. Mayne said it was difficult with a large number of peals being rung always to send in. Because these compositions were not always published a lot of information had been lost to posterity. Another thing was the truth of the compositions. Nobody could be expected to prove all these things, but he thought some provision should be made for all these compositions going on record. Mr. C. Crossthwaite (Lancashire Association) asked whether Burslem Delight Major should not be left out now and published later, when it was renamed. The Hon. Secretary: I think the correct procedure is to include it now and amend it if and when the conductor submits another name. Mr. Blagrove then moved that November 23, 5,120 Burslem Delight Major be entered and to be renamed Delight Major. Mr. W. E. Critchley seconded and this was agreed to. The report was then adopted. The very large increase in the sales of publications during the past four years is still maintained. The demand for the "Beginners' Handbook" has been even greater than in any of the last three years and the total number of publications sold is greater than in any year except for 1959 which was the first year the "Beginners' Handbook" was for sale, when over 5,000 of them were sold. Our present stock of "Village Bells" will soon be exhausted, and as the "Beginners' Handbook" covers the essentials of its contents, as well as giving much additional useful information for the beginner, Mr. Speed joins me in recommending that we do not reprint it. Our thanks are due to Mr. J. A. Acres for the official checking sheet for the 40,320 Plain Bob Major rung at Loughborough, to Mr. R. W. M. Clouston for a copy of "The Church and other Bells of Aberdeenshire - Part III," and to Mr. F. E. Dukes for copies of "Irish Bell News." Once again I must pay a well-earned tribute to Mr. and Mrs. R. F. B. Speed for dealing so efficiently with the sales section of the Library, a work which must take up a large amount of time and for which, I am sure, we are all extremely grateful. FRANK W. PERRENS, Hon. Librarian. (a) Includes 12 for presentation to Theological Colleges and one lost in post. (b) Includes one lost in post. (c) Includes 12 for presentation to Theological Colleges. Mr. F. W. Perrens, in moving the adoption, said it had been a very successful year for the sales department and they were very grateful to Mr. and Mrs. Speed for the tremendous amount of work they had done in that direction. Mr. F. Sharpe seconded and the report was adopted. The secretary said the Standing Committee recommended that Village Bells be not reprinted and at the meeting Mr. G. W. Pipe presented a number of books from Washington Cathedral to the Council. Mr. R. A. Anderson moved that the thanks of the Council be sent to the Washington authorities for their gift. This and the Standing Committee's recommendation were carried. THE work of the Biographies Committee has been overshadowed this year by the sad death on October 24th of Albert Charles Hazelden, who had served this committee since 1939 and had been its convener for the last 21 years. Mr. Hazelden was the mainstay of our work and was an acknowledged authority on the earlier records and members of this Council. His service to his Church, together with his work for this committee and for the Guildford Guild library had been his principal occupations since his retirement in 1944, and this Council owes him a debt of gratitude for this unstinting work on its behalf. The committee is carrying on with its work with Mr. T. J. Lock as the new convener. Mr. Lock has continued his researches through old volumes of "Crockford" and "The Church Times" for details regarding early clerical members of the Council and we acknowledge valuable assistance from other persons too numerous to mention individually in this report. One of the jobs undertaken since the death of Mr. Hazelden has been the listing of present and recent members of the Council for whom we do not hold a record sheet or for whom we do not hold a photograph. This list will be available at Truro. Mr. William Parrott, of Epsom - a representative of the Surrey Association - has expressed a wish to help us with our work and we would ask the Council to elect him to the Biographies Committee. Finally, again referring to the late Mr. Hazelden, he left all of the committee's records in really first-class order with his own biography sheet quite complete with photograph attached all ready for writing up - he had even requested his wife to add the date of his death. If this fine example set by our late convener were followed by all other members of the Council our task would be much lightened. Would that everyone was so meticulous. (Signed) W. H. VIGGERS (Acting Convener). T. J. LOCK, J. WILLIS. Moving the adoption of the report, Mr. W. H. Viggers (acting convener) said he was sorry the names of Mr. Ogden and Mr. Taffender had not been included in the report. Details of biographies should now be sent to Mr. Lock, and not to Guildford. Mr. John Willis (Kent County Association) seconded. The Hon. Secretary: The Standing Committee recommend that Mr. William Parrott be added to the committee and the omissions be included in the report. Mr. Viggers: Yes, we will do that. Before the meeting closed Mr. C. K. Lewis called attention that when the present Parliament ceased, the greatest Englishman of all times would retire. It might be worthwhile to consider what action should be taken by way of individual efforts. He also hoped that they would bear that in mind when the names of new methods were considered. THE committee's work has been concerned with the preparation of the Collection of Surprise Major, Royal and Maximus methods rung in peals up to December 31st, 1963. Discussion has taken place as to the material to be included and the format and the collection is in course of preparation. That the names of the methods rung in the peal of Spliced Surprise Major at Ashover on July 13th, 1963, should obtain for all future peals in them. Consequently the peals by the Leicester Diocesan Guild of Moira Surprise Major on August 25th, 1963, should be renamed Purbeck Surprise Major and that of Ob Surprise Major on September 16th, 1963, should be renamed Oxney Surprise Major. The committee wishes to draw attention to this Decision and to remind conductors that when a method is rung for the first time in a multi-method peal the name then given obtains for all future performances in, or including, the method. The committee acknowledges that under the present Decisions of the Council the Leicester Diocesan Guild has the traditional right to name the methods but would draw attention to the precedent set in 1939, when the Suffolk Guild waived its right to retain the name Framsden Surprise for a method which had been rung previously in a spliced peal as Loughborough Surprise by the Leicester Diocesan Guild. The committee trusts that to avoid confusion the Leicester Diocesan Guild will now waive its right. The committee does not wish to interfere with the traditional right of a band to name a methods, within the Decisions of the Council, though it may consider the name ill-chosen. Neither does it wish to suggest that Elford Surprise should revert to its former name. (Signed) F. T. BLAGROVE, C. K. LEWIS, J. R. MAYNE. The adoption was moved by Mr. C. K. Lewis, who said they would like to add to the report the Decision regarding Burslem Delight. "We are unanimous that it is not a true extension." He had a letter from Mr. Poyner indicating that he is not willing to give it a new name until logical proof of the extension is forthcoming. Mr. Lewis suggested that they should meet Mr. Poyner and try and get him to give the peal a new name. They must refer the peal back to the Southwell Diocesan Guild and ask them to deal with the matter. Mr. F. T. Blagrove formally seconded the adoption. Mr. Brian Warwick (Leicester Diocesan Guild) said he rose with some trepidation. To Moira and Ob Surprise Major mentioned in paragraph (1) should be added a further peal, Llanfihangel-Rhydeithon Surprise Major rung in December. As he hoped he was a dutiful member of the Council, he was quite prepared to accept the committee's suggestion. He would also like them to take action on Smith Bob Major rung at Loughborough. Mr. W. F. Moreton (Yorkshire Association) thought the Council was being held to ridicule by some of the names given to new methods. He also thought it was wrong to rename them when the method was first rung in a peal of spliced. It made it most difficult for everybody. He thought it was time they stopped people ringing methods with such names as Ob, which was Bo backwards. Mr. John R. Mayne said the sole reason for the committee acting was to clarify the situation. With that in mind, the committee decided they would not make the Decisions retrospective beyond the present cases. They would like to thank Mr. Warwick for his action. If the Council was thinking of changing all names of methods rung, it would upset everything that had happened before. Mr. W. Parrott (Surrey Association) asked whether the Council was not running away from their responsibilities in referring Burslem Delight to the Southwell Diocesan Guild. If this was referred to the Surrey Association there would not be the local knowledge to decide. They elected a Methods Committee to tell them what was right; he thought it was wrong to refer it back to the Association. It was like saying: "I can ring Plain Bob and call it Grandsire and you can't stop me." Mr. John R. Mayne commented that it was a fact that Burslem Delight did not conform. He did not think there was anything they could do but to refer it to the Southwell Diocesan Guild and ask them to bring pressure to bear on the conductor. They expected this to be done, as the Guild had agreed to accept the Decisions of the Council. This report was one of the finest documents produced by the Council. Mr. R. B. Morris asked if these peals would be counted in the analysis. Mr. W. Ayre: Of course. There is no question that a peal was rung. Mr. C. K. Lewis: It is not the custom of the Council to dictate to a Guild or Association but to refer it back to them so that they can set their own household in order. Mr. Brian Warwick: To make everything correctly in order, can we have an assurance from the Methods Committee that they would include Llanfihangel-Rhydeithon Surprise in paragraph (a)? Mr. C. K. Lewis: Yes. The report was then carried nem con. Under the heading of other business, Mr. A. D. Barker (Oxford Diocesan Guild) submitted a motion "That this Council urges all ringing associations to press for proper insurance of all ringers, preferably under a group accident policy." Mr. Barker said was seas something that had come to light recently when one of their ringers in the Oxford Guild met with a serious accident, and they took up the question of insurance of ringers. This poor chap was insured. He went to a church to do a job and broke a bone in his foot. When they saw him ten weeks later he was hobbling about but had not received any money under insurance. They found out that it was a group insurance policy and they did not normally pay out until the case was finished. For 2s. a year a person could be covered for accidents in his own or any other belfry or when travelling from one belfry to another. With the Ecclesiastical Insurance Office any ringer could be insured between the ages of 16 and 70. The benefit was £5 a week for temporary disablement, £500 for total disablement and £500 in the event of death. They did not have to give the individual names of ringers, it was done by a group insurance. Mr. Walter Ayre seconded and the motion was carried. The hon. secretary said they had two invitations, both carried forward from last year, for the next meeting. The Peterborough Diocesan Guild had invited the Council to Northampton in 1955 or 1956. The Coventry Diocesan Guild had written that they would consider it a great honour if on this particular occasion the Council accepted their invitation as the Lord Mayor had intimated that he would be willing to entertain the Council. Miss Shelagh R. Collins, Master of the Peterborough Diocesan Guild, said she had pleasure on behalf of the Guild in inviting them to Northampton, where there was ample accommodation. Their secretary was associated with a brewery. Mrs. Beamish, speaking in support of the Coventry Guild's invitation, said they had many interesting and historic places in Warwickshire and many nice rings of bells. Their only regret was that there was no ring of bells in Coventry Cathedral, but they hoped that would be remedied in a few years' time. Asked where the headquarters would be, Mr. Frank Perrens said it would probably be at Leamington. The hon. secretary said it was 30 years since they visited Coventry Guild and they were at Northampton last in 1920. A majority of ten votes was secured for Peterborough Guild's invitation. IT gives your committee a great deal of pleasure in reporting that 1963 has probably been the most successful year in the history of ringing overseas. And now that Council has invited regular reports on these activities a more comprehensive coverage has been possible. Consequently it can be seen that the Art is practised, in varying degrees of achievement and enthusiasm admittedly, in something like 35 to 40 centres in seven countries throughout the world. Our report covers vast territories with sometimes hundreds of miles between towers. These isolated bands are once again to be commended for the part they play in the Ringing Exercise at large. Where possible information not previously available or known has been summarised in respect of newer isolated towers which it is hoped will be of further assistance to would-be travellers. We heartily welcome enquiries for more detail and likewise would be pleased to hear overseas news at any time. Despite various upheavals in the Australian ringing scene, an excellent year can be recorded. It would be a mistake to gauge this only from the peals and quarters that have been brought round though this is always a good indication that things are flourishing. Through the admirable publication "Ringing Towers," and reports in our own journal the ringing centres of Australia are now quite well known. Perth is gaining strength all the time and some 14 ringers were present at the Bishop's enthronement in August. All eight bells are now rung and this very isolated band rang the first peal on the bells in March and scored several quarters during the year. Adelaide with the addition of the recently renovated Town Hall octave is now quite a "Mecca" for ringing in the country. Double Norwich, Cambridge and Stedman Triples are now well within their grasp and whereas Miss Enid Roberts by moving to N.S.W. will be greatly missed, Ronald Russ makes a valuable replacement. Adelaide was the venue of the A.N.Z.A.B. annual meeting when well over 40 ringers from four States attended. Three peals and several quarters are listed for South Australia. Melbourne after a flourishing four or five months at the beginning of the year felt the loss of the Cathedral bells, now in England for complete restoration. The new job will be on its way again in May and awaited with some eagerness! St. Patrick's Cathedral band has kept things moving, however, in readiness for the return of the 12 and we can look to Melbourne for a strong band in the near future. Five peals, including Cambridge S. Major and Bob Royal go down in the record book. Hobart, Maryborough and Yass continue to maintain Sunday service bands, Hobart ringing a quarter peal during the year. Ballaarat's two towers have also picked up whilst the octave at Bendigo will soon be returned from Whitechapel where another restoration is taking place. Finally Sydney which has done remarkably well and crowning its year with a peal of Stedman Triples "in hand." Five other peals (including Burwood) were scored and it is pleasing to note the variety of methods in their quarters. Overall there were 63 quarter peals on tower bells and 15 in hand together with 15 peals in the following methods Plain Bob Major 4; Grandsire Triples 3; and one each of Bob Royal, Cambridge S. Major, Grandsire Caters, Stedman Triples, 3 Spliced Plain Major, 4 Minor methods and 9 x 2 Doubles methods. A year of steady progress in New Zealand and ringing generally of a high standard. Both Christchurch (10) and Hamilton (8) Cathedrals are further cases where with perhaps just one more experienced ringer/conductor would make all the difference. Ringing took place every Sunday and for several special occasions and festivals in Christchurch. Grandsire Triples, Kent Minor and Plain Bob are a regular feature here and occasionally Grandsire Caters and Stedman. Unfortunately peal attempts for Triples failed but success is sure to come this way before long. Membership stands at 20 which is indicative of enthusiasm. Hamilton has eight in its Sunday band and call changes and Plain Bob are managed. A band is also being taught by Christchurch ringers at Papanui (5 - 6 cwt.) and there is rumour that St. Peter's, Wellington (8 - 16 cwt.) will be renovated and placed in the new Cathedral there. A very good coverage of activity in this country has appeared in "The Ringing World" over the last 12 months by Miss J. Midgley and Mr. A. J. Collins, so that a brief summary will suffice. Victoria, B.C. (8 - 29½ cwt.). Membership approx. 20, ringing twice every Sunday with methods including Stedman and Kent T.B. Vancouver, B.C. (8 - 16 cwt.). Membership 14, rung almost every Sunday to Grandsire, Plain Bob and call changes. We understand there is also an eight at St. James', Vancouver, which may well soon be rehung, being chimed only at present. Mission City, B.C. (10 - 21 cwt.) rung regularly by the Benedictine Fathers at this most impressive Abbey. The Fathers can manage up to Grandsire Caters. Calgary, Alta. (8 - 14 cwt.). Another up and coming centre which together with the two rings in Quebec gives a string of towers from West to Eastern Canada. The Cathedral in Quebec (8 - 16½ cwt.) has a small but very struggling band but at the moment there are no ringers at St. Matthew's (8 - 14 cwt.). No activity unfortunately to cater for the two very fine 10's in Montreal although your representative was able to inspect them last year. As with Canada the U.S. Mail coaches have kept us well informed with some excellent ringing articles. The latest development of course will be the important Washington dedication in May and this will be reported direct to the Central Council at Truro. Therefore a list of towers with short notes will complete the picture for 1963. Boston, Christ Church (8 - 15 cwt.). Unringable, apparently only because of sprinkler pipes being passed through the wheels and a very low ceiling. Boston, Perkins Institute (8 - 22 cwt.). Only rung when visited by Groton - in perfect condition except for ropes. Boston, Advent (8 - 20 cwt.). Some activity here and there is a donor who is prepared to pay for a full restoration if ringers can be found! Hingham, Mass. (10 - 19¾ cwt.). Unringable - tower supposedly too weak but this is debatable. Kent School, Conn. (10 - 25 cwt.). A school-boy band of eight to ten in number. Call changes and Grandsire Doubles. Chicago. Ill. (10 - 21¾ cwt.). It is rumoured that renovation will be taking place soon. Groton, Mass. (10 - 18 cwt.). Very strong and enthusiastic band here with something like 25-30 ringers - masters and boys. Stedman Doubles and Triples, Erin, Plain hunting are regular features and last year a quarter peal of Stedman Triples and four of Doubles were recorded. Groton ringers have visited Washington and hope to get over to Kent School. The U.S.A. is almost equal in size to Australia and it can readily be seen that a keen and able ringer and conductor who was able to liaise with towers and move around could soon build up a very strong change ringing area in the States, the bells are certainly there! The information gleaned from the African continent indicates a general spreading of the Art especially in towers from which nothing has been heard for some time or where no band/ringable peal was thought to exist. Grahamstown Cath. (8 - 25½ cwt. by Warner 1878). Quite regular Sunday and practice ringing here by mainly University students. Unfortunately there is no instructor so ringing is a matter of trial and error, although plain hunting on seven has been reached. The nearest tower is Durban, 350 miles. Handbells from Queenstown also used, which church incidentally has the treble and tenor (26 cwt. in D) of an unfulfilled octave by Taylor's (1922). Woodstock, C.P. (8 - 11 cwt. Barwell, 1901). Is the well-known South African ringing centre having had three peals and 52 quarters recorded so far. Although Grahamstown (425 miles) is the nearest tower this keen band accomplished 720's and a quarter last year, as well as celebrating the 60th anniversary of change ringing in the continent. Durban. Two towers - Greyville (10 - 18¼ cwt. Taylor's, 1919) and St. Paul's (8 - 14 cwt. Taylor's, 1920) are rung as often as possible and strong efforts are being made to man both these towers. Good news for South Africa is the new Whitechapel ring for St. George's Cathedral, Cape Town (10 - 26 cwt.). The bells have already been cast and are on their way for installation. Yet another little ringing community set in "splendid isolation," a further 850 miles from Durban. Salisbury (10 - 24¾ cwt. by Mears and Stainbank, 1958) is the main centre and stands nearly 5,000 ft. above sea level! Ringing improving all the time and the band meets on Sundays and at practice for Grandsire and Plain Bob. We hear that handbells are taught at Riverside Anglican Mission, Bulawayo, by Rev. P. Cole, who has a set of 12. Que Que. A 1962 ringable four with frames for two trebles, has a young band with eventual hopes of making the ring into six. Rounds off Africa and the light four (2¾ cwt. in E. Taylors, 1961) at Kilifi are at least a start in these parts. Again provision is made for two trebles and meanwhile the bells are heard for Sunday matins and practices. At Cuddesdon Theological College, Oxford, three overseas students were taught to ring during 1963: Rev. D. Williams, of California, Rev. C. Gregorowski, of Cape Town, Rev. D. Low, another South African, now at Copnor, Hants. The Convener would be pleased to hear of any comments, or items of news pertaining to ringing outside Britain, and if these could be communicated to his private address (8, Lansdowne Road, Ipswich) they will be summarised and published in "The Ringing World" at a later date. (Signed) GEORGE W. PIPE (Convener), 8, Lansdowne Road, Ipswich, Suffolk. Mr. G. W. Pipe moved the adoption of the report. He said the 12 for Melbourne were leaving England in the next few weeks. They had been completely renovated in an iron frame at Loughborough. The Bendigo octave had been recast at Whitechapel and were leaving in a short time and the new 10 for Cape Town were at Whitechapel and would be going shortly. Mr. Sheppard, seconding, said he had heard that Salisbury, Southern Rhodesia, would be receiving shortly a very competent ringer for two years - he referred to Mr. Frank Blagrove. Mr. Frederick Sharpe said he did not propose to give a detailed account of his experiences in America as they were printed in "The Ringing World." He would like to thank especially the president of the American Guild of English Handbell Ringers (Dr. Robert Hieber) and Mr. James Lawson, carillonneur, of Riverside Church, New York and editor of "Overtones"; they were all handbell ringers and rang for church services. They sent their very best wishes to the Council. While he was in America he had the pleasure and privilege of giving lectures on elementary change ringers in groups. He had on several occasions just over 300 teenagers all eager to learn. One lecture was planned for one hour; it lasted three hours. Mr. G. W. Pipe was called upon to describe the recent visit to Washington which he called "That was the week that was." The outstanding thing from their point of view, he said, was the actual reception and enthusiasm they got. They expected them to turn up as beefeaters: all they had were bellringers' ties! "As to Washington, it is the sort of city you ought to visit. The Cathedral is a magnificent building in the true Gothic style. I have brought with me a collection of presentation books of Washington that will enable you to see what it is like. "The bells are a first-class ring in every way, and the belfry is something to be seen to be believed. Apart from the elevators that take you up there can you imagine a belfry with three complete lounge suites, and furniture and fittings in ecclesiastical colours - in brown, olive green and in gold. Imagine 200 people or so there and you can still drive a bus round! "The main reason for going was first for the dedication of the bells for the American people. Imagine the situation. 'We have bells, we want ringers, we get them out'! Apart from the dedication on Ascension Day, we were able to do a lot of teaching. The actual teaching was handled by Mr. Chaddock and Mr. Moreton. They did a splendid job in every respect, and the other eight of us assisted. The result of the week was that 25-30 people were taught and on Friday one of the pupils rang a 720 of Bob Minor on the treble. "The actual dedication day was something I shall never forget; it started at 7 and services were outside with temperatures about 80 and 90 degrees and thousands of people milling around. The climax came when we rang a quarter of Stedman Caters with 200 people in the belfry at the time, the Press coming and going and cameras clicking. John Chilcott did a magnificent job, indeed the whole party behaved splendidly. We felt we were a representative band for England in the cause of change ringing. "I want to express special and heartfelt thanks to our friend Doug Hughes. He did a lot of arranging and he has taken a recording of the peal which is going to be played at the reception and you can then judge the quality of the peal. We had a chance to ring a peal on the Saturday, perhaps not in the fittest condition as over 10,000 people were listening to it on the lawns outside. I want to pay a tribute to John Chilcott: he was Master for the week, cool and had everybody in a happy frame. Think of conducting a peal and a quarter under such circumstances! Finally, we were asked to spend an extra day and fly to Groton at Russell Young's invitation. Here we rang a peal of Cambridge Royal. Earlier in the week a peal of Plain Bob Major was rung in hand. We have introduced the art of change ringing and we hope it is firmly established in America." Mr. H. L. Roper (hon. member): When I saw the report of the Overseas Committee I felt I must congratulate Mr. Pipe. I would also like to congratulate him on his report of the Washington visit. The hon. secretary: At the same time as we vote on the report, there is a rather mundane matter, to agree to the terms of reference of the Overseas Committee. The Standing Committee recommend these terms: "To keep in touch with and report to the Council on all activities of ringing outside the British Isles and to furnish information when thought desirable and to establish contacts with overseas visitors." The report and recommendation were adopted. The President called attention to a book Mr. Sharpe had written on the bells of Guernsey, Jersey, Alderney and Sark which would be on sale very shortly. (a) That this Council shall no longer recognise as regular any even-bell method which has four places made between successive rows on more than one occasion in the half-lead. (b) That this Council investigate and report on the possibilities of systematic nomenclature for methods. Dealing with (b) first, Mr. Bayles said there had developed a habit of names being longer than the place notation. Let them be as simple as possible. Most methods rung for the first time would not be rung much in the future. He felt that Hudson and McClelland showed one way of dealing with it. He moved para. (b) and Mr. K. Arthur seconded. Mr. W. E. Critchley (Yorkshire Association) asked Mr. Bayles to qualify, as he did not understand what was meant by the "systematic nomenclature." Mr. Bayles: If a person gets the figures of a new method, how did he know it had not been rung before? Surely there must be some method of arranging them. They had a comprehensive list produced by a commuter which showed all right-placed methods. When a thing was rung they could give it the name or number relating to it in the list. Mr. C. K. Lewis: This will only be solved when the book of the methods of Surprise Major rung is published in the near future. If you want to kill ringing it is to ring method 100 and composition 99. In five years time the Exercise would then be as dead as mutton. Mr. K. Arthur in a speech showed how ridiculous many names were. In the 17th and 18th century they had such names as Ham Treble Bob, Blunderbuss, Whirligig and Jack of Both Sides. They have now such names as Ob and Llanfihangel-Rhydeithon and were threatened with parsnips and beetroot. If this went on in the same breath as Double Norwich Court Bob Major they would have Beatles' names. Could they imagine "Yeah, Yeah, Yeah Surprise"? Mr. R. B. Morris said years ago his Association rang a new method and called it Oswestry. He would not like that to be called by another name. Mr. W. G. Wilson (London County Association) said the only thing that made the motion necessary was if Mr. Arthur's examples were taken up by Mr. Warwick. If they were not, then the motion was not necessary. Mr. John R. Mayne: We have a great heritage and we ought to do our best to pass it on. I do not think this nomenclature system fits the bill. I think this Council should invent and select proper names. I remember years ago the Rev. John Scott said he derived great pleasure from such names as Whirligig. I would be prepared to consider a reclassification of names but if there is any doubt I think it is best to leave it alone. The Rev. John Scott said it would be unthinkable to change names that had been in existence for centuries. Names like Oswestry rung for a special occasion should certainly be retained. His opinion was whether a peal was called Whirligig, Ob or another name, they should not try to stop them. Many of these peals were not worth ringing. Eventually Mr. John Freeman moved that the Council proceed with the next business, which was seconded by Mr. W. E. Critchley and carried. A previous attempt at this procedure was ruled out of order by the president as the mover coupled it with a speech. Mr. Bayles then submitted motion (a). He said unfortunately under this motion Cambridge would become an irregular method. It was in order on 6 and 8 bells but 10 and 12 bells would be ruled out. He would like in restrict the motion to 6 and 8 bells. Mr. W. F. Moreton said he was in sympathy with a good deal of what had been said. This motion would affect many peals which were printed in the collection. Mr. Norman Chaddock said he was in sympathy with Mr. Bayles' idea if it was kept to what was good taste. They could indicate what was good and not lay down laws like those of years ago that provoked long discussions. Mr. C. K Lewis also contended that it was far better to rely on what was good taste than to legislate. Legislation led people to find ways round it. Mr. R. S. Anderson moved as an amendment that it be referred to the Methods Committee for consideration and report. Mr. P. A. Corby felt this was only a manœuvre to pass it on to others. "We had a debate some years ago like this in regard to Bob Triples." The amendment found 21 supporters but was heavily defeated. After further discussion Mr. Corby moved that the question be now put and the motion was defeated. A reception followed in the Town Hall annexe, where the members of the Council, their wives and lady friends were received by the Mayor and Mayoress and the Lord Bishop of the Diocese. A Cornish tea was provided, which included hot Cornish pasties - a delicacy appreciated by visitors from a distance. The generosity of the Truro Diocesan Guild and their ladies and also the Mayor and Mayoress and the Lord Bishop for receiving the company was fittingly expressed by the president. In the evening in the Red Lion Hotel the usual social was held. An added attraction was the playing of a recording by Mr. Douglas Hughes of the Washington peal. As on many previous occasions, Canon Felstead and the Rev. John Scott were prominent in the entertainment. Topical verse appropriate to the Council meeting was given by the Rev. John Scott. The day we came to Truro town in Nineteen Sixty-Four. "The day they come, etc." "We'll show these foreigners," he said "what Cornish lads can do. The day they came, etc. The day he came, etc. The day they came to Truro town in Nineteen Sixty-Four. *The perpetrator of this ditty is fully aware that this verse is a scandalous libel: in fact it was his original intention to attribute this verse to someone else, but as the latter was not at Truro this was impossible, and George fitted the metre, It would have been a libel anyway, and the author disclaims any responsibility should a correspondence ensue.